Founded by Matthew Booty, Enkle Designs is a small design firm based in Apex, North Carolina which specializes in manufacturing specialty furniture and home accessories. The work of Enkle Designs is mainly inspired by the beauty and simplicity of both old and modern Scandinavian designs. This might be more obvious to people who speak Norwegian because “enkle” means simple. The skilled craftsmen of Enkle Designs make all of their designs by hand from locally or sustainably obtained materials and very little material is wasted in the making of their designs. We are going the check out some of their best designs in this article and if you happen to like what we show you, you can purchase them or you can order something made specifically for your home from Enkle Designs. The first one on our list is the Kaste Pendant Light. Handmade from a solid piece of oak, this striking lighting pendant will attract the attention of all who enter your home with its light natural feel. In order to give accent to the natural color of the wood, the pendant was finished in polyurethane lacquer. The light is attached to a simple 20 feet long white cotton power cable which will allow you to either plug it into a socket or mount it into your ceiling. 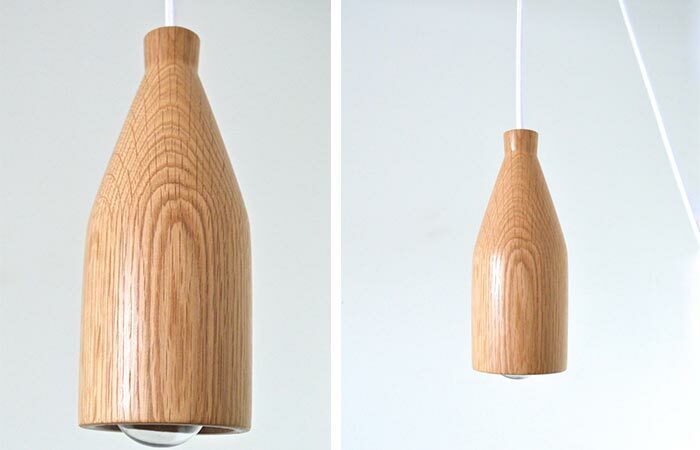 Your purchase will include the oak pendant, cotton power cable, bulb and plug. The Vinklet Balancing Bottle Holder provides you with a very interesting way of displaying your favorite drinks in your home. 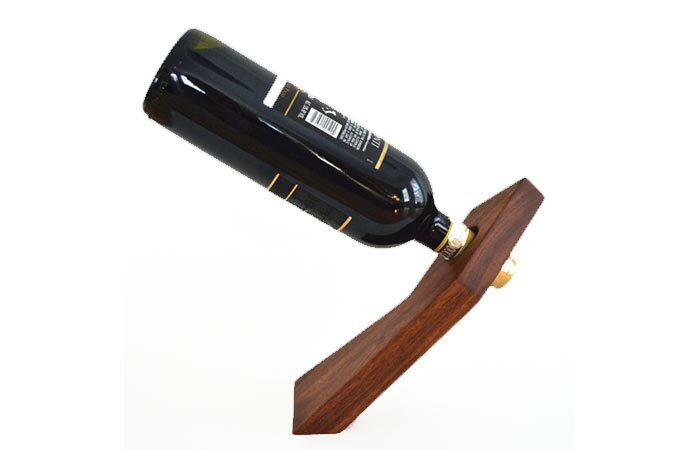 This bottle holder is made from a solid piece of wood so there are no strings or tricks holding it in place, only the clever design. The best part of it is that it can balance and hold both empty and full bottles. This table is uniquely designed by Enkle Designs and is made with simplicity in mind. 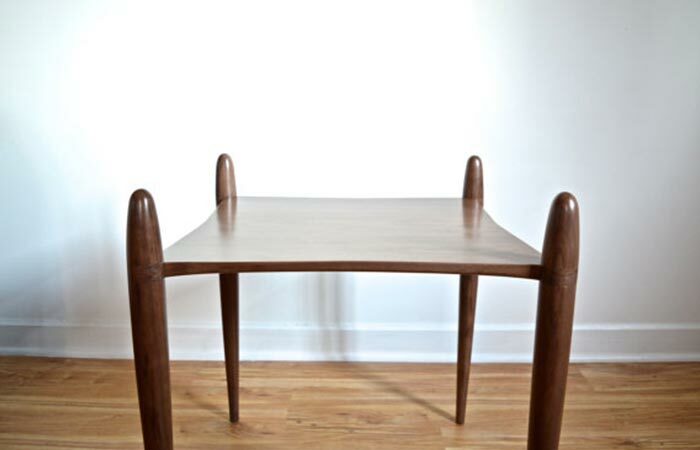 Like all their products, this table is also entirely hand made. The best part of the Væske Walnut Side Table is that no bolts or screws are used in the manufacturing process, only solid walnut. The legs are glued into the top of the table using dowels. It takes about a week to finish this piece, so keep that in mind if you place an order for it. 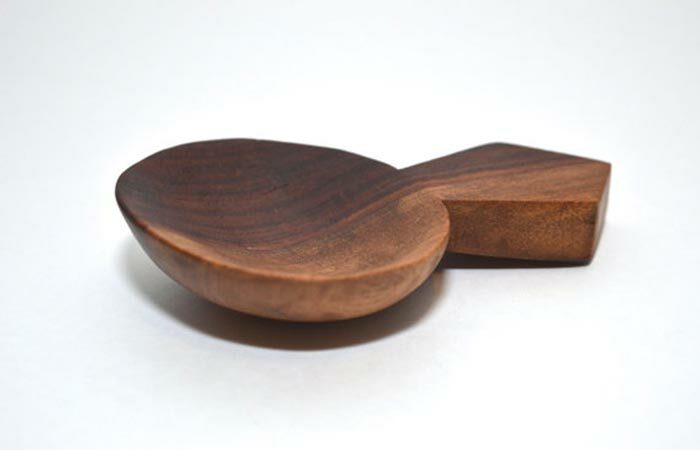 Designed and hand carved from a solid piece of walnut, the Mørk Walnut Scoop is perfect for scooping food from a container or simply serving it. In order to preserve the appearance of this coop, the master craftsmen at Enkle Designs have finished it in a natural mixture of beeswax and mineral oil rubbed in by hand.